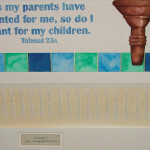 This piece was commissioned by a Congregation in Cincinnati, Ohio. 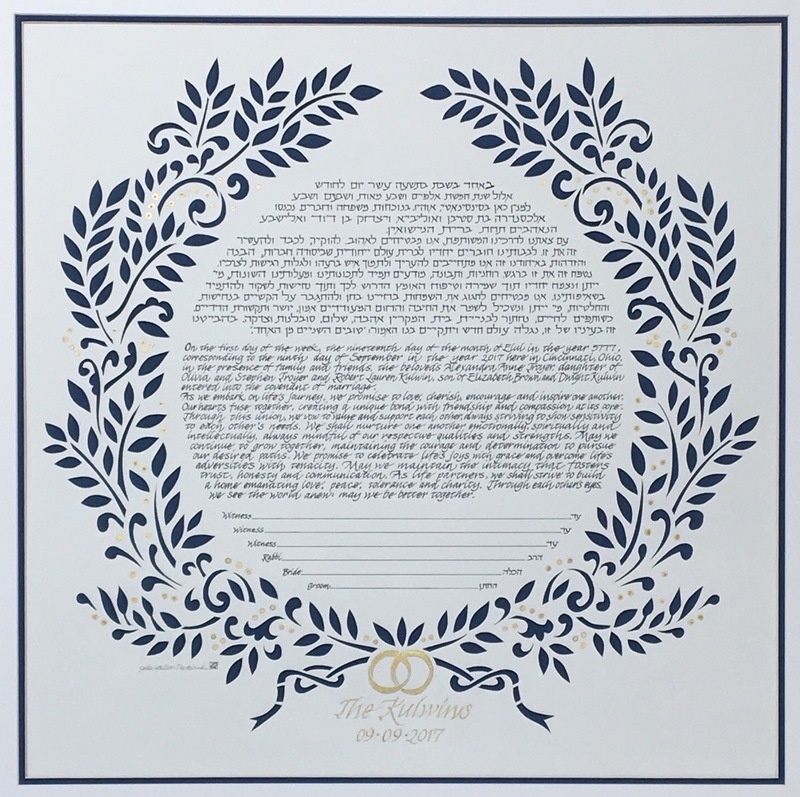 It was designed to commemorate the names of the major donors who contributed to the fiftieth anniversary celebration and endowment fund developed in honor of the anniversary. 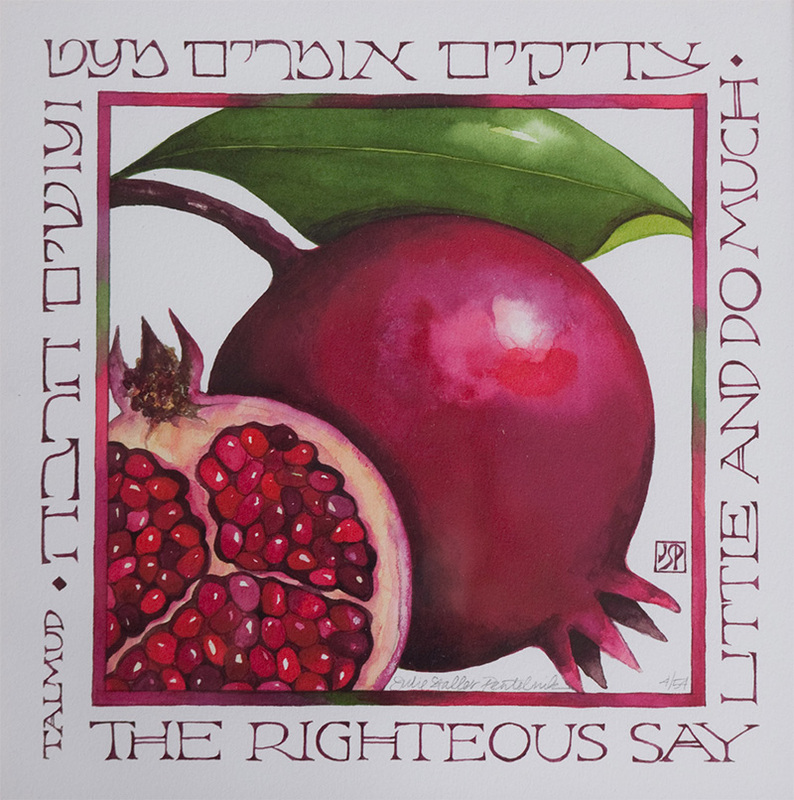 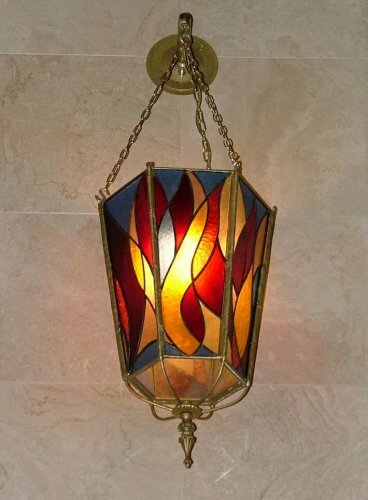 It is 4′ wide by 6′ high, is framed and hangs on a prominent wall in their building. 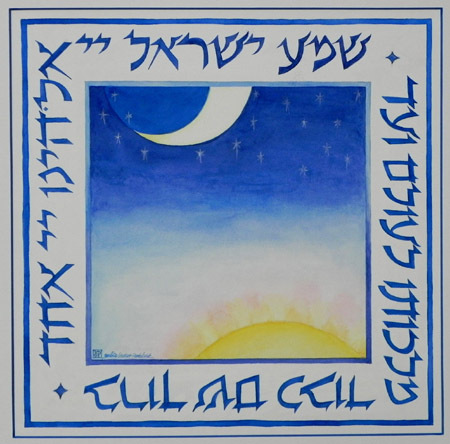 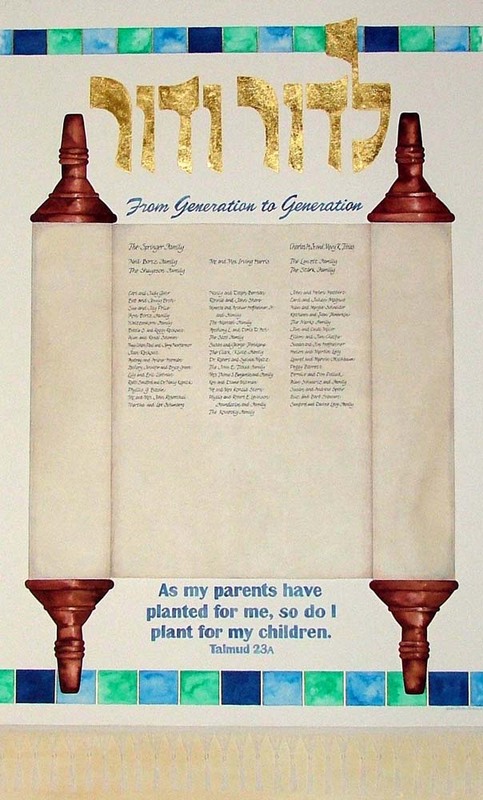 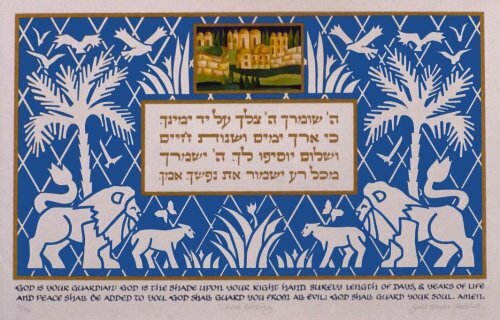 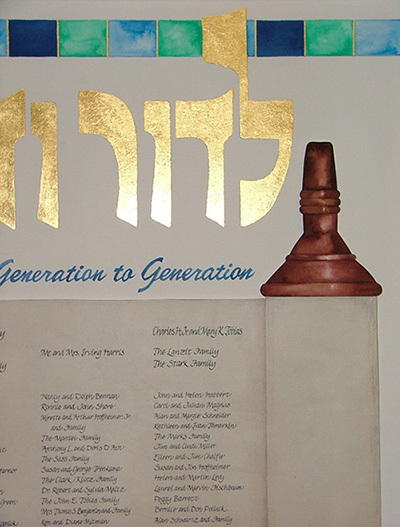 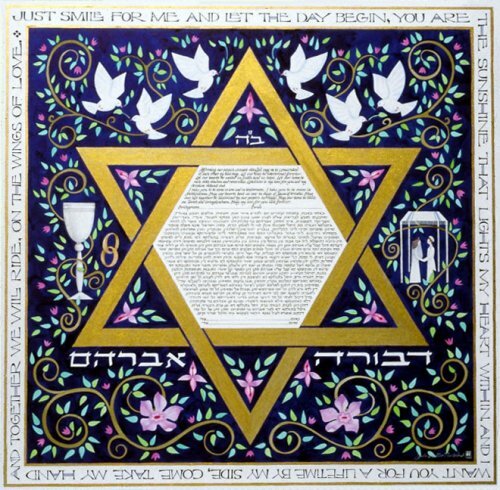 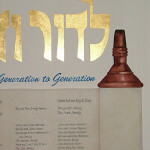 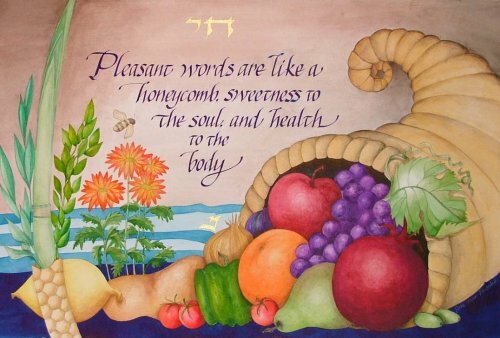 The Hebrew lettering at the top, L’dor Va’dor, from Generation to Generation, represented a basic theme of their campaign, and is lettered in 23 karat gold leaf. 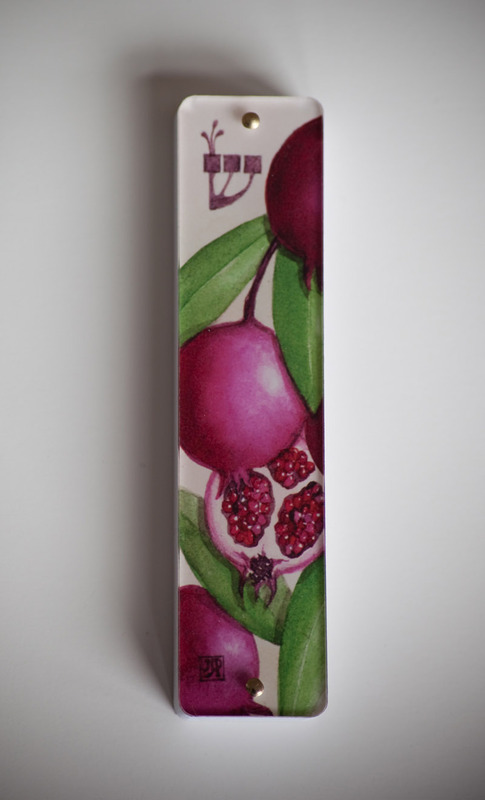 made from real sheepskin parchment and illustration board handles painted to look like wood. 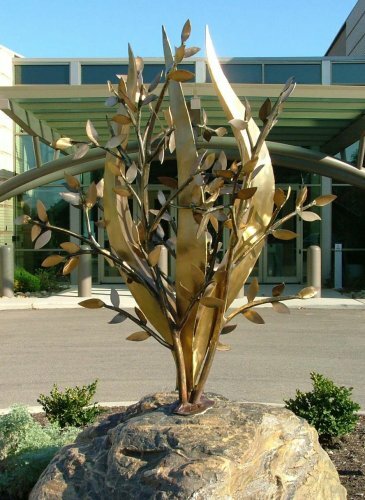 It is on a floating mount to add to the 3 dimensional feel. 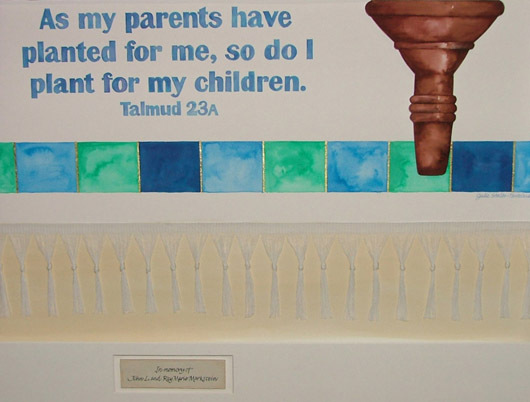 The stripes at top and bottom represent actual Torah binders used on the Congregation’s Torahs.